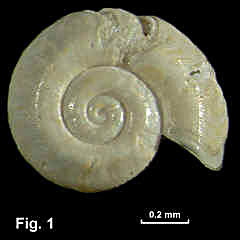 Description: Shell minute, almost planispiral, spire almost flat. 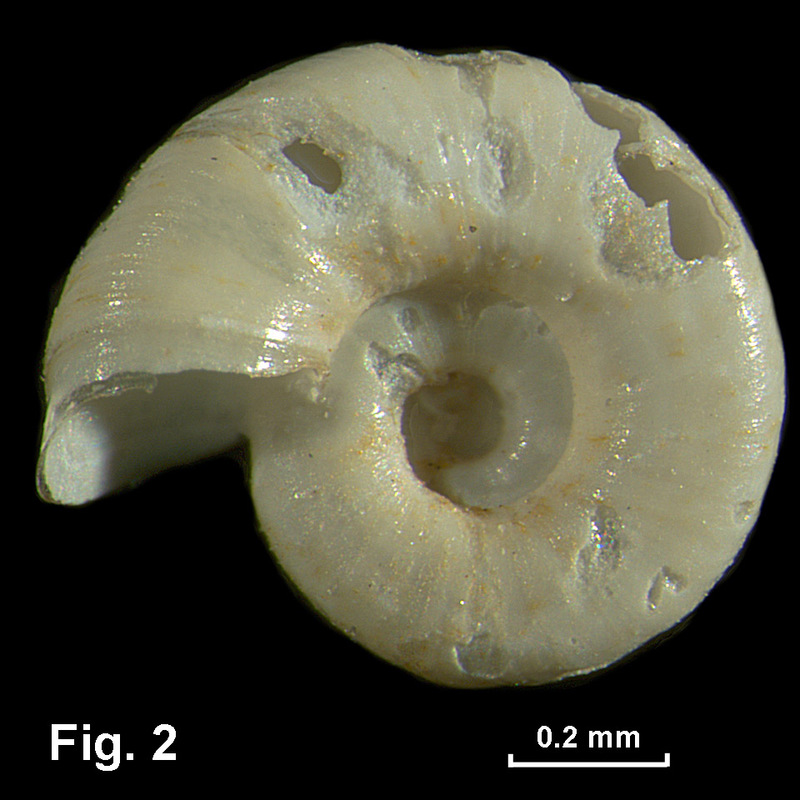 Protoconch of about 1¾ whorls. Teleoconch up to 2½ whorls, suture channelled. Whorls with weak or moderate angulation dorsally and sometimes angulation at periphery. Base rounded, umbilicus widely open. Surface smooth apart from very weak spiral lines and fine axial growth lines. 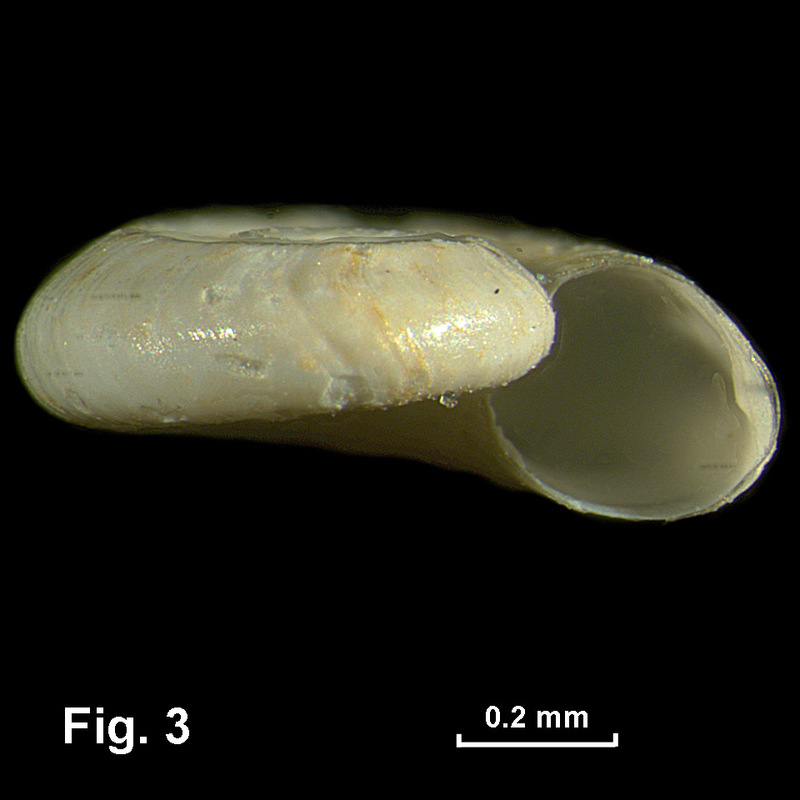 Shell transparent, becoming opaque white or fawn with age. Size: Up to 1.75 mm in diameter. Distribution: Known only from off Broken Bay, NSW, in 439–714 m.
Habitat: The type specimens were taken alive on sunken, waterlogged wood. Figs. 1–3: East of Broken Bay, NSW, in 439 m (C.138689 PARATYPE).